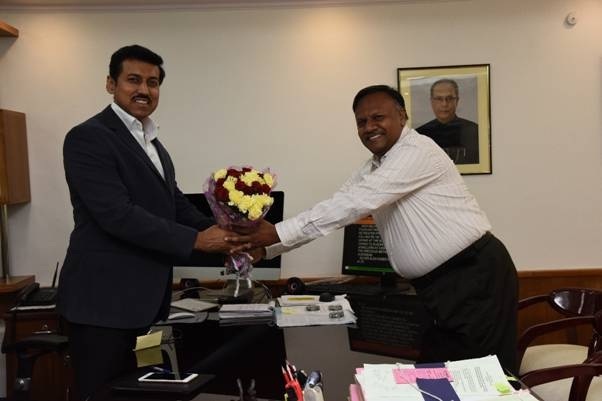 New Delhi: Ajay Mittal, IAS (Himachal Pradesh: 1982) today assumed charge as Secretary in the Ministry of Information & Broadcasting on superannuation of Sunil Arora IAS on 30 April 2016. Prior to his appointment as I & B Secretary, Mittal was Additional Chief Secretary, Government of Himachal Pradesh. During a career span of more than 33 years, Mittal has served in various capacities in his cadre state of Himachal Pradesh. He served as Additional Chief Secretary in various departments including Information & Public Relations, Finance, Vigilance, Coordination and Public Grievances to the Government of Himachal Pradesh. He was also the Chairman of Himachal Pradesh State Electricity Board. Mittal is a Law and Economics graduate and has done Post-graduation in Rural Development. He is proficient in Hindi, English, Punjabi & Urdu.